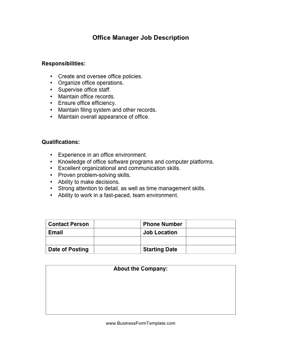 This office manager job description is perfect for posting in online and print advertisements when hiring new employees. Create and oversee office policies. Maintain filing system and other records. Maintain overall appearance of office. Knowledge of office software programs and computer platforms. Strong attention to detail, as well as time management skills.